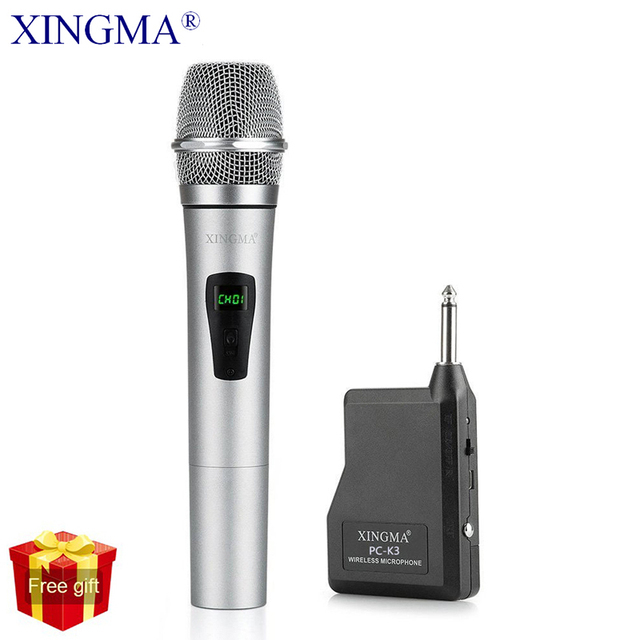 * High sensitivity moving coil core, metal mesh head, built-in sponge filter network, effectively filtering surrounding noise. 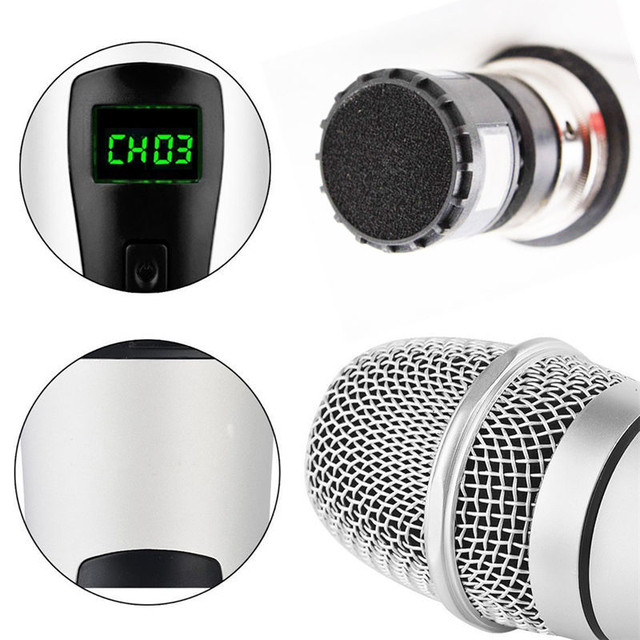 * VHF fixed frequency transmission, avoiding the easily disturbed frequency, plug and play, no need for FM, easy to use. 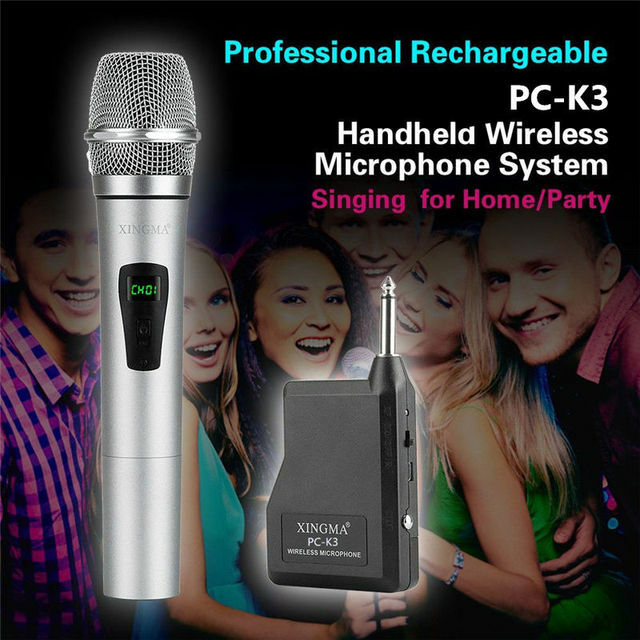 * Suitable for family Karaoke, outdoor singing, teaching, company meeting, tour guide and other small places. * 6.35 standard power amplifier plug, suitable for all kinds of equipment supporting microphone input. 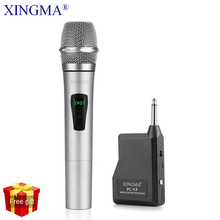 * Portable, mini microphone and receiver, not occupied space, easy to carry. * All metal pipe body with good feeling and strong resistance to pressure. 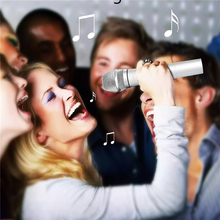 The tube is 23 cm long and weighs 0.325 kg. 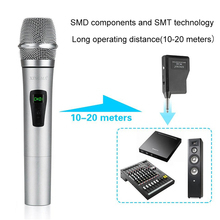 it is designed in a six-angle shape to prevent rolling and enhance its stability. This moving core is highly sensitive and is embedded with filter. Any-pitch voice can be replayed in a high articulation but without irrelevant noise. you need to place the battery correctly, negative with– and positive with +. This kind of plug is applicable to all kinds of equipment which support megaphone input. The aerial is length-controllable. When the megaphone is used, the aerial should be pulled out. The sound signal will be better when the aerial and phone are on the same plane. side with the positive electrode of the other, and vise versa. 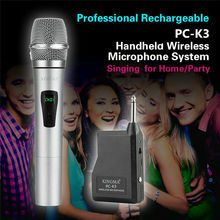 Q：Can this PC-K3 microphone be used on tv or computer? 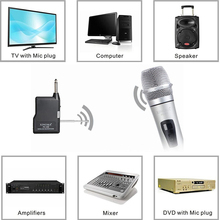 A: Any device with a microphone jack can be used. 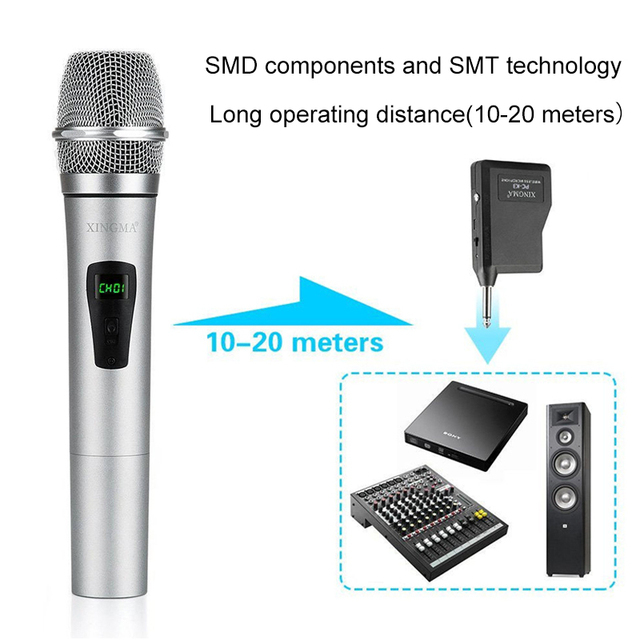 If you want to connect two PC-K3 wireless microphones at the same time, please tell us, we will send you PC-K3 wireless microphones with different frequencies.